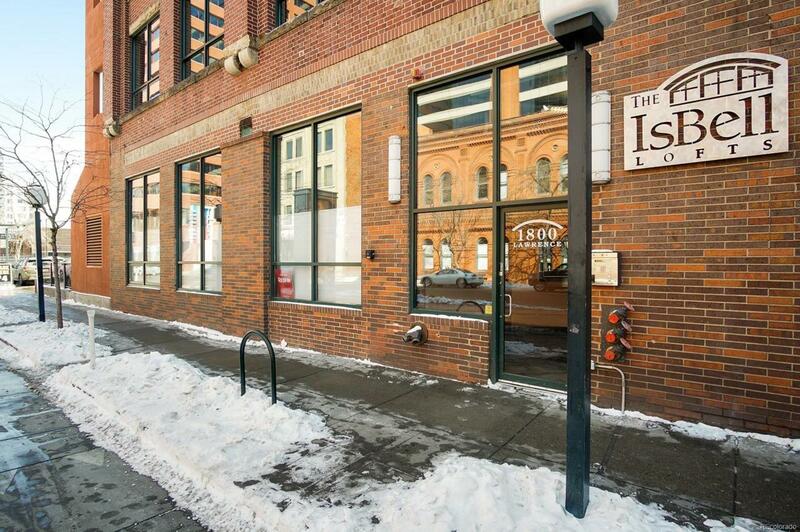 The best of city living in this stunning historic loft in the heart of downtown Denver. Step inside the front door and be immediately wowed by the 16' high ceilings with exposed beams, beautiful hardwood floors & exposed brick. Open and spacious floor plan has abundant natural light thanks to the large west facing windows. Off the living room is the secondary bedroom with 2 closets & en-suite access to the 3/4 bath and laundry. Living room flows into the modern kitchen that features stainless steel appliances, a gas cooktop with range hood, granite countertops, plentiful cabinets & a large peninsula with counter seating. Very large private patio and the secluded master suite are off of the dining area. Master boasts his and hers walk-in closets & an en-suite 5 piece bath. Walk to everything: Union Station, the light rail & all the restaurants and entertainment options in LoDo. Secure building with elevator access, fitness center & 2 underground parking spaces with storage.